It was the wedding of the decade. Catherine (Kate) Middleton marrying Prince William, becoming one of the most watched couples in the world. As is the case for any celebrity wedding, the biggest question being asked leading up to the big day became, What will the bride wear? So it was only fitting that the dress receiving so much global speculation and attention would get a page of its own in Wikipedia, right? After all, it fit the criteria for notability, receiving significant coverage from gads of reliable sources, independent of the subject. And yet within minutes of the page being created, the page was marked for speedy deletion. And yet the above editors ignored the key guidelines of Wikipedia. So what gives? For one, Wikipedia is suffering from a subject-object problem (in short, it’s tough for contributors not to impose their beliefs and biases on whatever topic they’re editing). 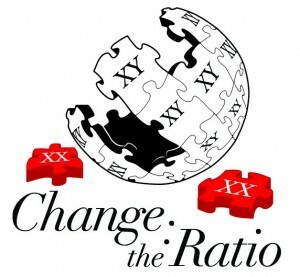 No matter how neutral Wikipedia strives to be, the Gestault sum of its articles is influenced by its contributors, which in Wikipedia’s case is a “geeky male in his late 20s” (see Wikipedia’s 2011 editors survey for full results). And this is what results in a cargo-cult editing environment, where the rules and guidelines are often ignored in favor of a particular editor’s bias. In the case of Kate Middleton’s wedding dress page in Wikipedia, the deletionists lacked editing integrity, instead relying upon their own inherent biases as argumentative evidence. Jimmy Wales recently stated his brainchild is losing editors, and while it hasn’t reached crisis-level, it is a point concern. The fact is, the group that has built up the world’s #1 open knowledge resource is turning away and losing editors, of varyings ages, backgrounds, genders, and most importantly, viewpoints, at the cost of Wikipedia’s long-term growth and viability. Wikipedia is working hard to address the problem, but a solution will only come about if more people understand why having a diverse group of editors is critical. Ralph Waldo Emerson said, “All history becomes subjective.” In Wikipedia’s case, “All of Wikipedia becomes subjective.” While I’m sure a lot of folks have little to no interest in the wedding gown of a powerless figurehead (myself included), you have to imagine what the content looks like of more controversial topics like birth control, religion, racial and ethnic history, etc, when only a small demographic is editing and policing them. I’ll be exploring this point in my next post detailing my experience editing Wikipedia’s “Man” page and the edit war that broke out as a result. “While I’m sure a lot of folks have little to no interest in the wedding gown of a powerless figurehead”. What defines power? The ability to edit and lock down pages? The ability to influence 1000s around the world? Both are power although they may not be the political power you likely meant. Before you define something as powerless, think about what constitutes power. Kate Middleton’s dress (and the wedding) had the power to influence industries around the world to make near duplicates of the dress, the earrings, the bridesmaids dresses, the swords and who knows what else. Political power – no. Power to influence hearts, imaginations, minds and pocketbooks – oh yes. That’s the real story that Wikipedia should have shown – how much influence did this one dress have on the marketplace. There were certainly enough stories about it for citations. duly noted, kelcy! a fantastic point. Interesting blog post. I wonder why this dress was tossed and not any of the dozens in this category http://en.wikipedia.org/wiki/Category:Individual_dresses …? Perhaps those particular editors just made a bad call. The deletionists you quote are less about “impos[ing] their beliefs and biases on whatever topic they’re editing” than about imposing them on what they don’t edit. Only those who do not understand Wikipedia’s notability policies would have thought the article should have been deleted. Fred, thanks for your points (and links)!